If you are good at video transcoding and software, you will like MeGUI. As a frontend for many free tools, you can get many video conversion work, although MeGUI was primarily designed to be a DVD ripper. MeGUI is the most comprehensive GUI based ISO MPEG-4 solution. It supports MPEG-4 ASP (xvid), MPEG-4 AVC (x264), AAC, MP2, MP3, Vorbis, AC3 and Aud-X audio and various common containers support (MP4, MKV, AVI). However, for a newbie, it will be not easy to convert videos or rip DVDs with MeGUI. For example, you need to pass through so many stages in order to convert an MPEG-2 file into h264 for ipods (d2v, avs, multiplexing and so on). Even though you are quite familiar with specs, you still need so much time for setting all parameters every time as you have to encode a few hundreds of 50Mbps MPEG-2 files in case quality is very important for the project you’re working on. Situation also might occur that megui does not work for you, even when you manually take the logged command line and paste into a command prompt window. What’s more, MeGUI is sometimes a little bit buggy and you can’t use it all the time. Now, it is the time to get an alternative to MeGUI to solve all the problems. Here gathered top 20 replacement softwares of MeGUI to help you transocde videos and rip DVDs easily. FFmpeg is an open source project that develops libraries and programs for handling multimedia data. FFmpeg is the home to libavcodec, a codec library used by a large spectrum of programs, and libavformat, a mux and demux library for containers. WinFF is a GUI frontend and batch parser for the command-line multimedia tool FFmpeg. WinFF works by making a batch file that runs in the command-line, designed to launch the command-line tool with given settings from a preset. TX264 is a GUI for x264.exe. It offers simple but powerful options to encode your videos to mp4 or mkv containers with h264 video and aac, ogg, mp3, ac3 or FLAC audio. If source file contains subtitles, they will be muxed to the destination. You can split output file according to size or time…. LameXP is a free multi-format audio file converter that supports a variety of output formats, including MP3, AAC/MP4, Ogg Vorbis, Opus, as well as FLAC, and an even higher number of input formats. It also supports batch processing and can utilize multiple processor cores…. Any DVD Converter can rip DVDs to videos, convert between popular video formats, and download online videos……. Arista is a simple to use multimedia transcoder for the GNOME Desktop. Choose an input file, DVD, or Video 4 Linux device, an output device, a preset and go. Features live encoding preview, automatic discovery of input sources, etc……. EnKoDeur-Mixeur (EKD) is an open source software which makes videos, pictures and audio post-production. It can be also used to convert videos in many formats. It is written in python and use the PyQt4 bindings…. Format Factory is a multifunctional media converter and DVD ripper. It will convert (and compress):-Any video file or DVD to MP4/3GP/MPG/AVI/WMV/FLV/SWF.-Any audio file or CD to MP3/WMA/AMR/OGG/AAC/WAV.-Any image file to JPG/BMP/PNG/TIF/ICO/GIF/TGA.MP4 files support iPod/iPhone/PSP/BlackBerry format.Source files support RMVB……. 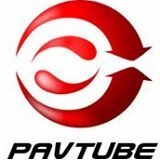 Pavtube Video Converter Ultimate is the best MeGUI replacement. It is not a frontend but a total integrated powerful video trancoder, designed to be a Video Converter + Blu-ray Ripper + DVD Ripper + Audio Converter. Yes, it is so powerful that can convert videos (convert ProRes to MP4, etc), decrypt Blu-ray (rip Blu-ray to .m2ts, etc), rip DVDs (convert DVD to MP4, etc) and convert audios (convert FLAC to iTunes, etc.). – Convert any video to another format/codec. – Upscale SD/HD video files to 4K videos. – Compress 4K video to 1080p/720p video. – Create 3D SBS video out of 2D/3D source. – Add external srt/ssa/aas subtitle to video files. – Decrypt Blu-ray AACS, BD+ up to MKB v61. – 1:1 backup Blu-ray to original video structure. – Extract M2TS files from commercial Blu-rays. – Convert Blu-ray to 2D/3D MP4/MKV/AVI, etc. – Rip HD/4K Blu-rays with forced/desired subtitles. – Remove DVD CSS, RCE, ArccOS, DRM, etc. – Entire copy DVD discs to Video-TS folders. -Copy DVD to VOB files for HD Media Players. – Convert DVD to MKV, MP4, WMV, etc. – Add external srt/ssa/aas subtitles to DVD. – Extract FLAC, WMA, MP3 from Blu-ray/DVD. – Convert one audio format to another format. – Extract sound from YouTube , etc video files. – Remove audio from video or mute audio in video. – Replace audio to MP4/MKV/AVI or replace audio.